These findings supply evidence that under low-light conditions, the control mechanisms of photosynthesis resemble those operating in such sensory systems as, for example, human vision. When the pupils adjust to the brightness of light, these adjustments not only protect the retina but ensure we remain sensitive to our surroundings despite changing light conditions. When the pupils are narrow, we distinguish only high contrasts in lighting. In low-light conditions, for example at dusk, the pupils widen, letting in more light, thus enabling us to identify objects that differ only slightly in their reflected light. 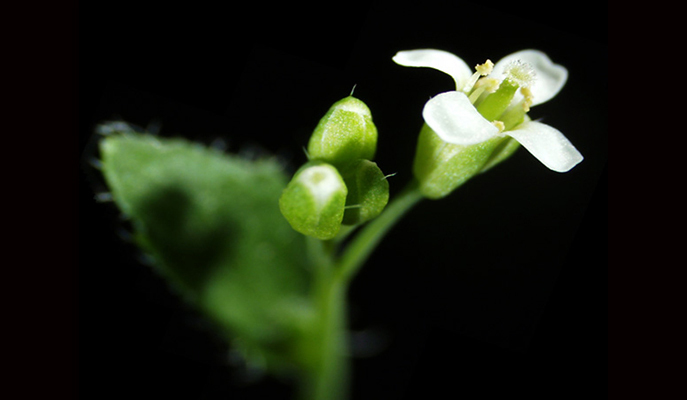 In the same manner, the photosynthesis antennae – the light-harvesting complexes of proteins and chlorophyll molecules in the plant – shrink in bright light and enlarge under low-light conditions. Like pupils, when the antennae grow larger, they harvest the light more efficiently and grow more sensitive to small changes in light intensity – but they also become more vulnerable to change, especially sudden change.